We are excited to feature one of our preferred vendors, Newlyweds Cinema, for this week’s vendor spotlight. Meet Holly & Nick Faldstein, the brother-sister cinematography team that started Newlyweds Cinema the summer of 2016. We got a chance to catch up with Nick and learn more about them and their company. It all started when Alan, one of Nick’s best friends, asked him to capture his special day. Alan knew that Nick had a passion for creating personal film projects and had been freelancing for video productions for years. I had my kid sister, Holly, assist me for the wedding day. After we released Alan and Lauren’s wedding trailer online, Newlyweds Cinema was born and we’ve been loving every minute of it! Without jumping into the technicalities and the creative aspect of capturing a wedding day, Nick and Holly love the celebration of the commitment that two people make to one another forever. That’s powerful! The love from the couple’s family and friends supporting the newlyweds with their love…if you’ve ever been to a wedding, you feel that positive energy in the air. It’s contagious and we’re honored to be a part of telling our couples’ legacy origins. When Nick and Holly started Newlyweds Cinema, their main goal was to craft their couples’ wedding films in a way that was authentic to their story and deliver them a quality experience.The two of them grew up loving movies. Holly introduced Nick to every Disney/Epic Romantic movie on the planet and he introduced her to his favorite genre, which at the time, was adventure/action films. I believe our work is more expression than perfection, yet it has a dreamy quality to it and is shot with a classic film style from the past in mind…which gives it a timeless feeling. Since their start in 2016, Newlyweds Cinema has shot around 50 weddings. I’ve had the fortune of shooting for other talented wedding video studios as a second or assistant which has been a huge upside to allowing me a better understanding of how a wedding day flows and the special attention each wedding day requires. No particular season is best for Newlyweds Cinema to film. Each season is the perfect backdrop to what makes their couples’ wedding days authentic and it’s a character in their day’s story. There’s something special about the first dance between the newlyweds. It’s typically right before the party is about to erupt, the emotions are high, and it’s just them on the dance floor with all of their loved ones watching. We love to light the dance floor in a way that is dramatic to a dance scene from a Hollywood movie in mind. The venue house lights are low and our lights just isolate the couple from everyone in the room, also giving shape and a beautiful dramatic feeling that unfolds in their dance. The best advice Nick can give to a newly engaged couple planning their wedding is to hire a professional wedding planner to help with the many details of the big day. Holly and I are both living the bachelor/bachelorette lifestyle at the moment so any marriage advice is out the window. Haha! 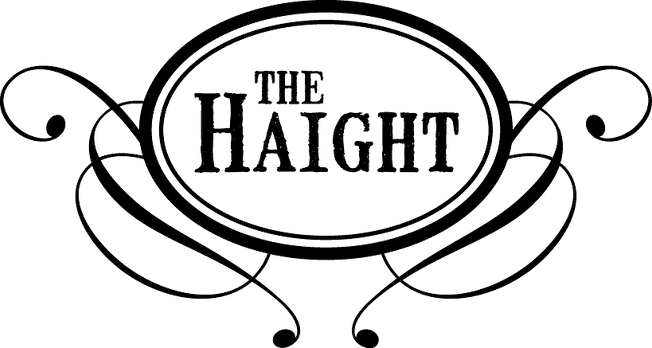 We were introduced to The Haight by one of our favorite wedding planners, Leanne Valdes of You Name It Events, we hopped on board last minute to film a wedding event that The Haight was hosting. Then months later we would work with their super star team of coordinators (and Wayne) for our couple Liz and Erik’s wedding day. The amount of energy and professionalism that the team exudes is a crucial reason why we love The Haight . Not only on the wedding day but after the day as well. They treat every couple with love and attention. Just go take a look at their social media pages and you’ll see what I’m talking about. They love sharing their couple’s day with them. This isn’t just a business for them but a lifestyle. That’s why we love working with The Haight. They love what they do and they actually care.